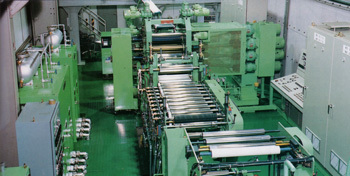 Nippon Roll MFG. 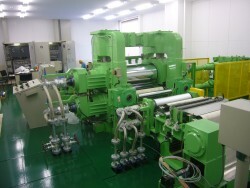 Co., Ltd.
Today, the calender forming process is being reconsidered for the production of advanced films and sheets. We produce the entire calender machine, including the rollers, and have already delivered several such machines. *We have permanent testing and research facilities at our main plant, which we hope you take advantage of for developing your new functional materials. To request detailed materials on the above product, please click the contact button below. In addition to our calender forming testing facilities, which have been used by many of our customers, we have newly installed a testing research facility that allows for a range of rolling and roll press applications. We hope you take advantage of these in pursuing product development and production. Copyright © 2017 Converting Technical Institute All Rights Reserved.